The Washington Hotel in Llandudno, North Wales, is a truly historic building and one of the enduring features on the promenade of the sea resort. This beautiful part of Wales was the holiday destination of choice for Lewis Carrol, the famed author of Alice in Wonderland, and you can see several statues of him in and around the town. The Washington Hotel first opened in 1855, but was rebuilt in 1925 after being destroyed by a fire. The building most recently served as a nightclub, before it closed in 2012. 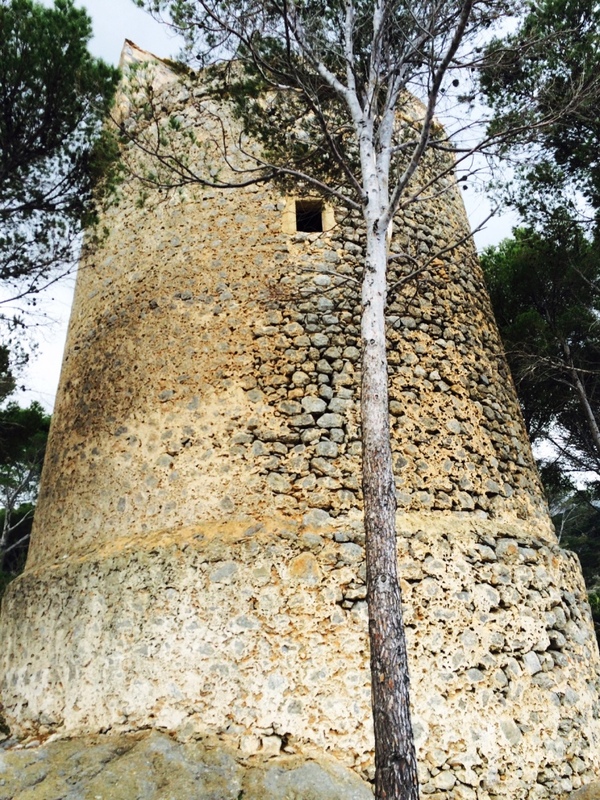 Now, there is ongoing renovation work to turn it into a restaurant. As part of this renovation work, we were asked to restore bring the old Terrazzo floor back to life, which was certainly worse for wear after nearly a century of use. It had been covered in carpet, as well as old vinyl tiles, and was very heavily soiled with dirt and ingrained muck. This area of floor would eventually act as the entrance to the restaurant and bar area, so it was important to get this right for the customer. We started the restoration process with the application of a Very Coarse 50 grit diamond pad to tear away all the old carpet and vinyl resin, clearing the area to allow us to work directly on the Terrazzo tiles. With the tiles exposed, we discovered two large, long cracks in the base of the floor, so we filled these with a flexible floor grout. We chose to use this instead of a resin compound because resin isn’t very flexible, and if there is any movement the crack will become exposed again after six to 12 months. A flexible floor grout will move with the contractions and expansions of the base, and if the movement is not too extreme the flexible grout will not crack in the future. We then continued through our system of diamond burnishing pads, applying the 100, 200, 400, 800, and 1500 grit pads with a small amount of water as lubricant. Once the floor was fully dry we applied the final 3000 grit pad, which is the finest of the pads and produces a very high quality polished effect on the stone. Once the floor had been polished, it needed to be sealed in order to protect it from dirt becoming ingrained into the pores of the stone. 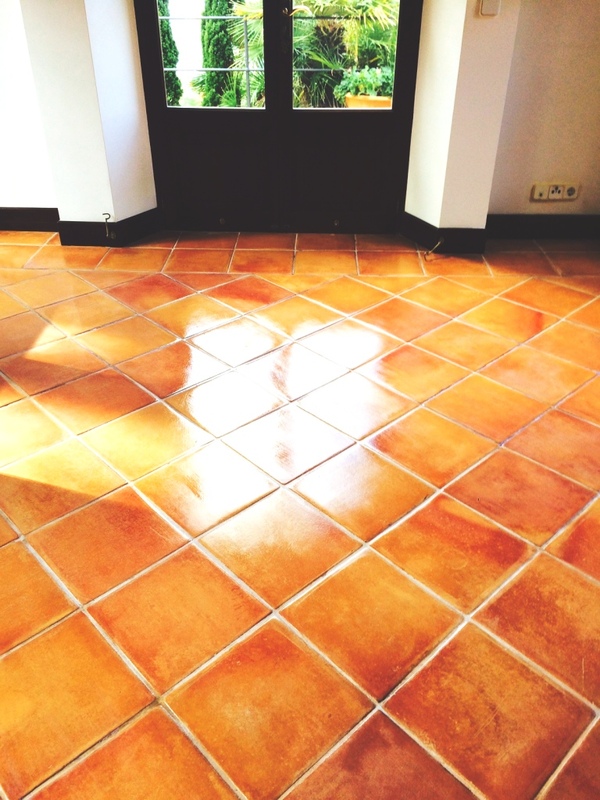 We did this using firstly two coats of Tile Doctor Colour Grow, which is our impregnating, colour-enhancing sealer. The sealer works by penetrating the pores of the stone to fill them and block trapped dirt and stains. We then left the floor to dry off fully overnight. 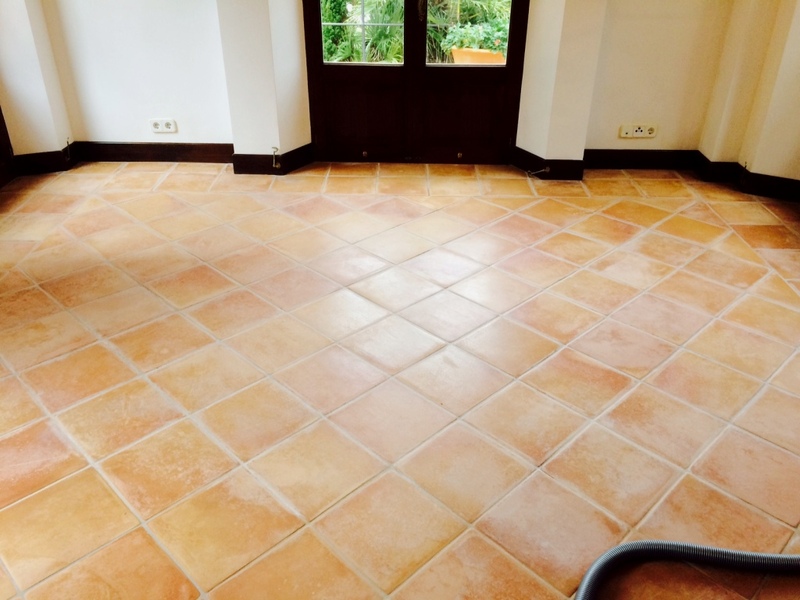 The next day, we returned to the building to apply a crystallization powder known as Tile Doctor Shine Powder, which further enhanced the shine we had built up on the floor and give it extra sealer protection. The customer was exceptionally happy with our work, as the restoration of the Terrazzo tiled flooring is an essential part of the renovation project overall. We wish them all the best in the eventual opening of the new restaurant! 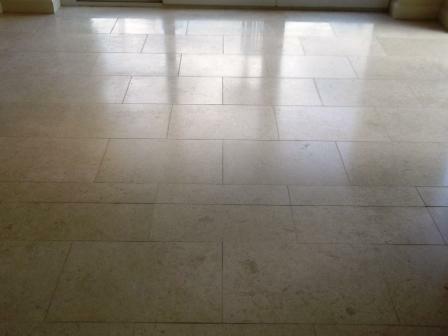 For aftercare, we recommended to the customer that the floor is maintained with Tile Doctor Stone Soap as this will not only clean the Terrazzo without damaging the sealer like many stronger cleaners, but also maintain its patina as well. Photographs below from the maintenance of Amtico Vinyl Floor Tiles in the kitchen of a house in the village of Heysham which is famous for its ferry port that has links to the Isle of Man and Ireland. This Vinyl wasn’t that dirty but it was starting to lose its sheen and when this happens it’s an indication that the sealer has started to wear down leaving it looking patchy in the high traffic areas. Once the sealer has failed then dirt will start to accumulate making it look less appealing, so my customer decided to call Tile Doctor in before it got to that point. It wasn’t a big area and unlike a clay or Stone tile, Vinyl is a lot less porous and can be cleaned and sealed within the same day rather than leave it do dry overnight or even longer. This means less hassle for the customer and a better price for doing the work as well. As a guideline, a 10m2 floor area usually takes around two to three hours to deep clean and re-seal, naturally the larger the area the longer it takes. We started with a deep cleaning product developed for Tile Doctor called Vinyl strip which as well as leaving a pleasant floral aroma is biodegradable and phosphate free. You dilute the concentrate with ten parts of water to 1 part Vinyl Strip or if you prefer a litre of water to 100ml of product. This was mixed together in a clear container and then applied to the area to be cleaned. It’s left to soak into the floor for a while so it can break down any remaining old sealer and dirt and then scrubbed in using a deck brush. I find a wet vacuum machine invaluable at this point at this junction, mopping is okay but you really need to make sure all the product is extracted off the surface to be sealed otherwise it will do to the new sealer what it has done to the old. We call this process Neutralisation and a good rinse with fresh water also helps as does having an industrial air mover in place to help speed dry the floor. You can’t seal the Vinyl until the tiles are dry as dampness can cloud the sealer so if you don’t have an air blower we recommend leaving the floor for six to eight hours. Our air mover is quite large and it soon had the floor dry so we could move onto sealing quite quickly and applied three coats of Vinyl Shine which gave the floor a nice sheen. Each coat must dry out before the next coat can be applied but it’s worth doing correctly as each coat builds up another layer of protection on the Vinyl, again we used an Air blower to speed up the drying process. Once dried we left the customer with a free bottle of Tile Doctor PH Neutral Tile Cleaner for the regular cleaning of the floor. We always recommend this product for the regular cleaning of sealed surfaces as it’s PH neutral and won’t degrade the sealer like most domestic cleaning products you find on supermarket shelves. As Tile Doctor operates in Europe as well as mainland UK we have to be ready for certain logistical challenges i.e. flying over to Mallorca to help a customer who has had a number of issues cleaning and sealing their Terracotta floor tiles at their residence on the island. Naturally you would have thought a local firm would have been able to resolve these issues, unfortunately it seems this is not the case and we were asked to step in. 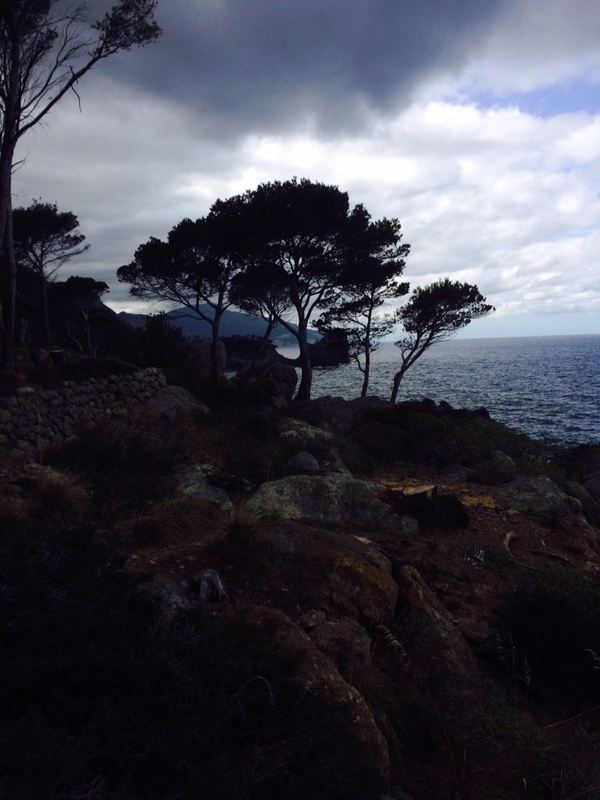 As is it was not economical to ship our machinery to the island the customer sourced the necessary machinery locally. On this occasion we used a new product called Tile Doctor Oxy-Gel which is a gel based version of the popular Tile Doctor Pro-Clean. It is applied neat to the tile and then left to dwell for fifteen minutes or so and then using a black buffing pad attached to a buffing machine we then stripped the old sealer very effectively with this method adding water as required, the soiled solution was then extracted from the floor using a wet Vax. Then we proceeded to rinse the floor with more water and repeat this process until all of the new Oxy-Gel and dirty water , this is called Neutralisation, if this isn’t done sufficiently then the chemical left in the clay can impact on the clay when it is sealed. The Terracotta was left to dry overnight and then a damp test was conducted after which it was dry enough to apply 1 coat for Tile Doctor Colour Grow which is a breathable Impregnating Sealer and add colour to the Clay, this was polished off and left to dry for a couple of hours before we applied several coats of Tile Doctor Seal and Go, which then gave the Tiles a sheen and lifted the colours even more as you can see from the picture’s. The customer was advised to use Tile Doctor Neutral Cleaner which we brought with us from the U.K. This was only a 2 day visit to help with the issues with the floor, more time was needed to do all of the tiles in the house of which their was several rooms, the customer was of the mind to do the rest of the floor themselves which was the understanding before we flew out, this was a cost saving exercise on behalf of the customer of which we were happy to oblige as long as our expenses were met. 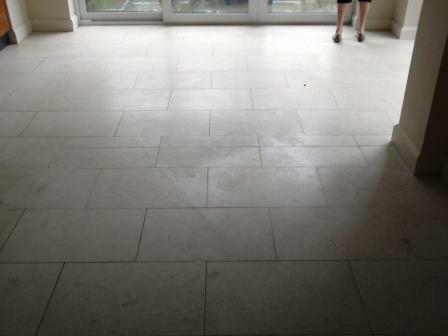 Few pictures below of a Jerusalem Limestone Floor refresh that we did in Whalley, Lancashire; hopefully you can see the improvement in the photographs. 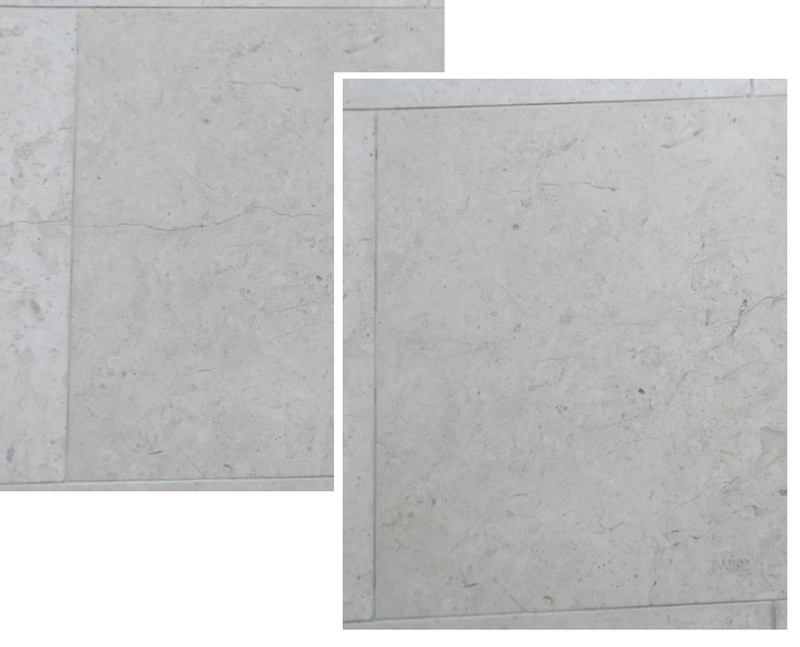 The first photograph below shows a crack in one of the Limestone floor tiles. To repair the crack we applied Mapei Ultra-Color thinly grained Grout using the Jasmine 130 colour and spread on the Tiles, polished off with a sponge and then allowed to dry. To polish the floor we used a Green Burnishing Pad and then sealed using Tile Doctor Colour Grow which is a colour intensifying sealer that provides durable surface protection as well as allowing the surface to breath.